Pakistan's Ambassador to the U.S. Asad Khan tells reporters he would welcome a more active U.S. role in de-escalating the India-Pakistan crisis. 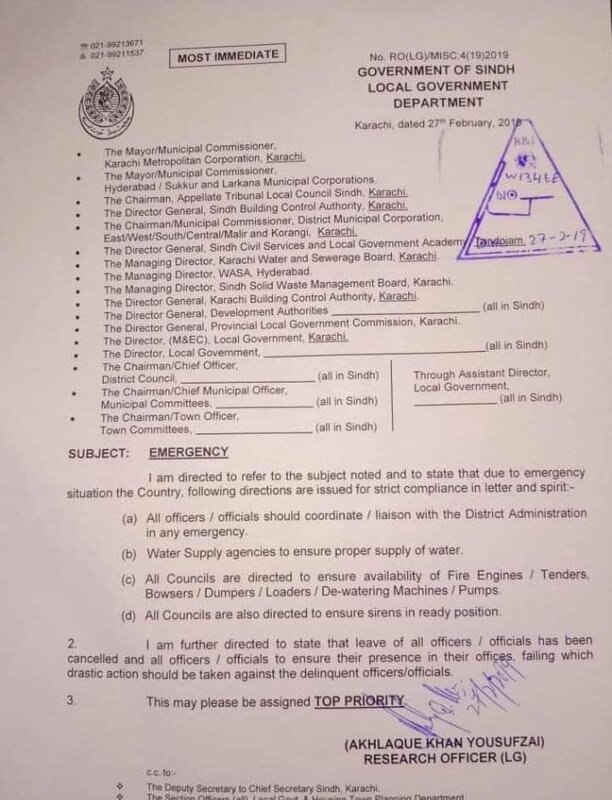 "We would certainly like to have more, and would certainly like to see more active involvement of the United States"
As high alert has been declared in Karachi, some emergency orders. 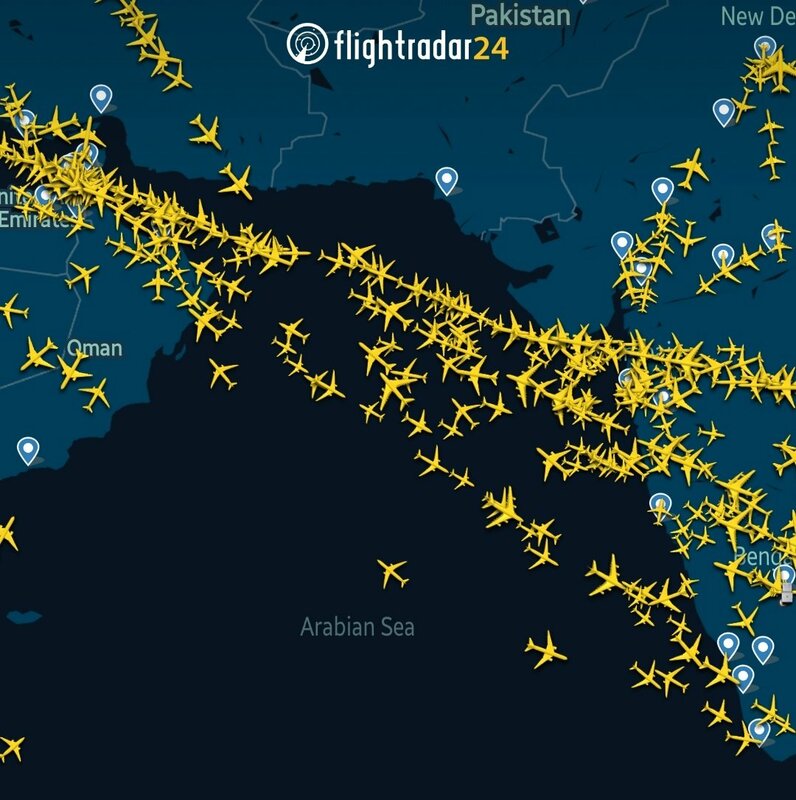 All civilian flights diverted through the Arabian Sea. 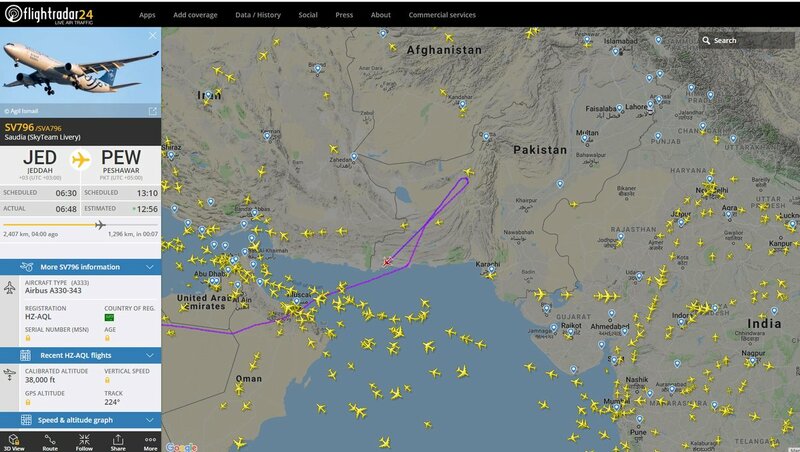 NOTAM is still in place and airspace over Pakistan remains closed. Pakistan Army Chief says that India is again planning for a misadventure. There is a high alert in Karachi and Pasni as the reports of Indian navy moving towards Karachi are getting affirmation. Pakistan Air Force is maintaining surveillance across the southern belt of Pakistan.  Total blackout in several areas in Pakistan along LoC and the working boundary. 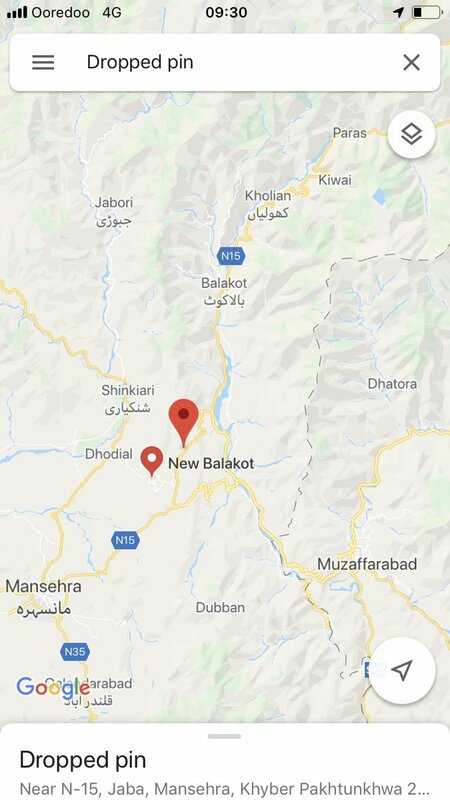 Also: One Pakistani civilian injured in Indian shelling few minutes ago in Tatta Pani sector, Dara Sher Khan area, Pakistani side of LoC. US "deeply concerned about rising tensions between India and Pakistan and calls on both sides to take immediate steps to de-escalate the situation," says an NSC official. 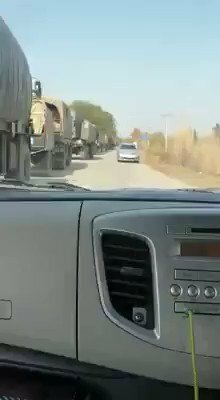 Another video posted by a Pakistani user from Sialkot purports to show Pakistani military hardware along the road. 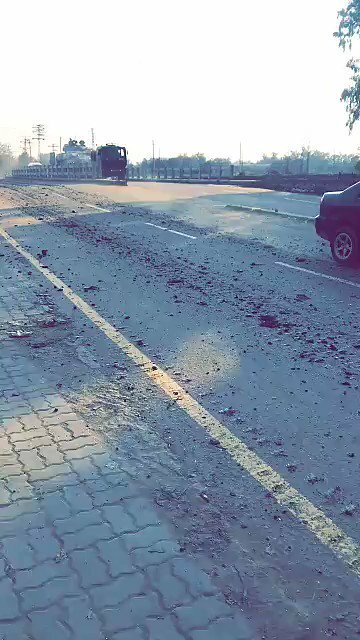 Video from snapchat map of Tanks moving in Pakistan towards border line in Sialkot near the border of India and are at the Sialkot LoC area. Exchange of fire in Battal area of LoC in Sunderbani Sector of Rajouri, J&K. Heavy firing is underway at this moment. Reporting from the site of Indian bombing in the Pakistani village of Jaba today, for @AJEnglish. 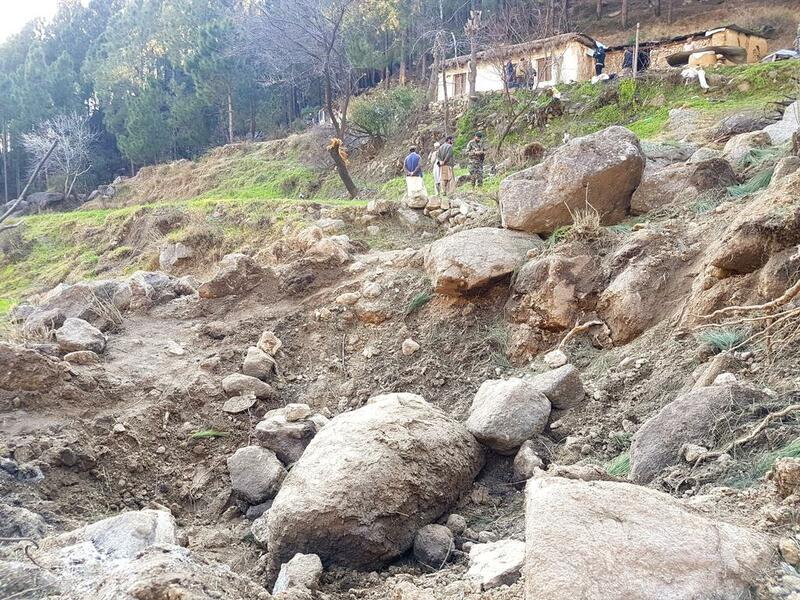 It appears two bombs impacted in uninhabited forest, two in a farmer's field. One minor injury, none killed. DGCA withdraws order; commercial flight services to resume. 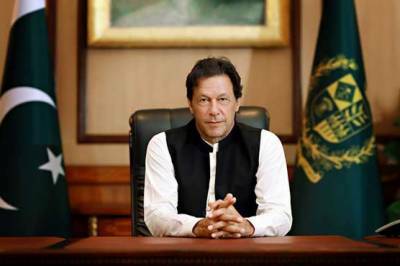 Amid escalating military tensions with India, Prime Minister Imran Khan summoned Wednesday emergency meeting of Pakistan's National Command Authority (NSC), which overseas management and deployment of nuclear weapons. Khan is due to address the nation after the NCA meeting. Indian External Affairs Ministry briefing at 3.15pm. Statement to be made there. 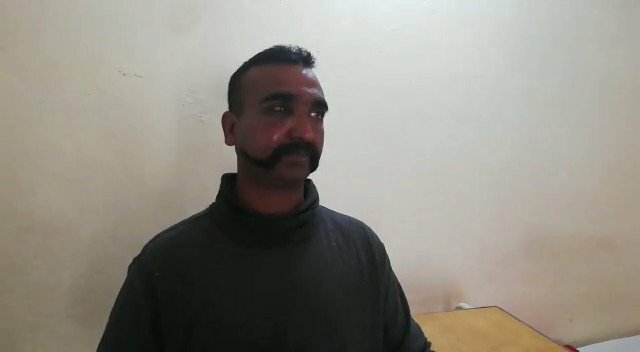 Pakistan claims this is the IAF pilot (Wing Commander Abhi Nandan) who was arrested today. 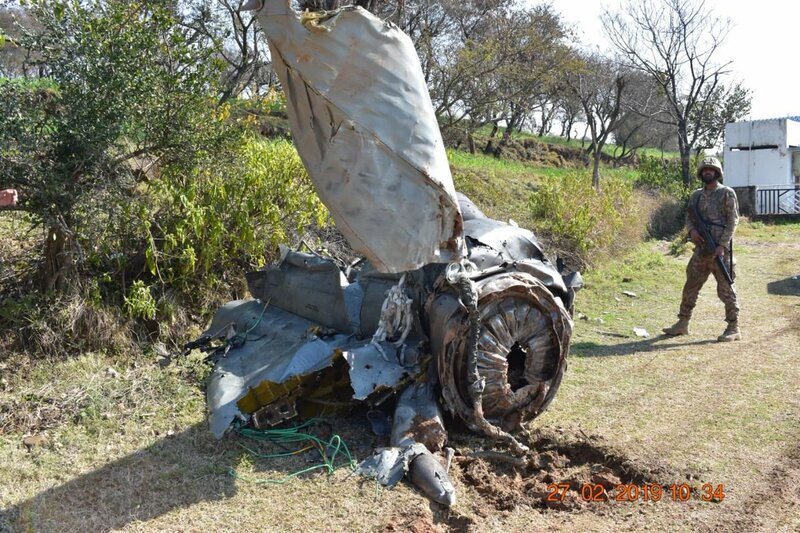 Pakistan army releases images of a downed Indian jet and documents/guns recovered from the captured pilots. 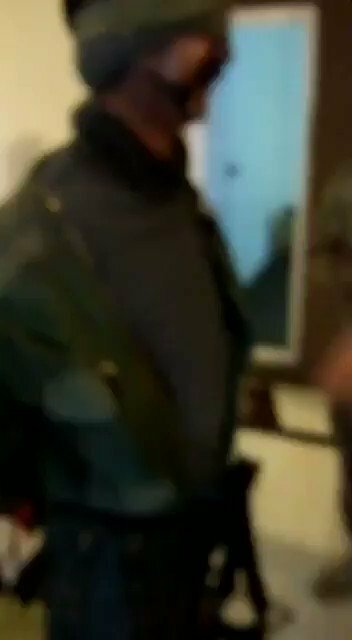 Video of the arrested Indian pilot: "My name is Wing Commander Abhinander", "My Service Number is 27981","I'm a flying pilot", "My religion is Hindu","Sorry, Sir. That's all I'm supposed to tell you." 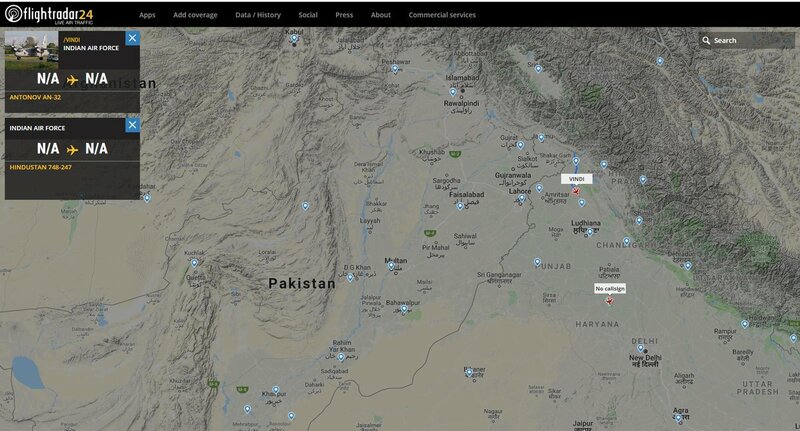 It seems that part of Pakistani airspace has been closed Saudia Flight JEDDAH-PESHAWAR returning to Saudi Arabia and there is hardly any traffic over the north of the country. 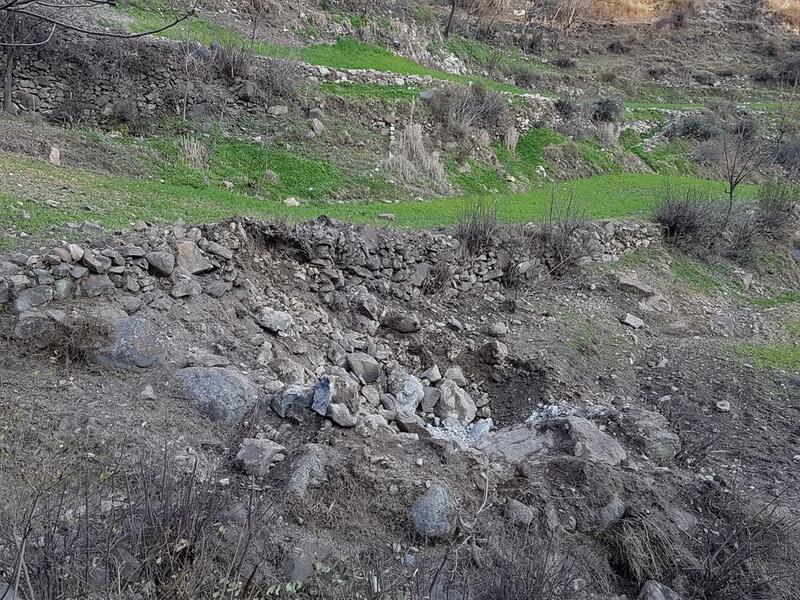 Pakistan claims it shot down two fighter jets near the border, says it did not engage the Mi 17V5 that crashed near Budgam. India denies Pakistani claims of shooting down Indian jets and says "all our pilots are accounted for" after Pak put out a statement claiming "strikes across LoC from within Pakistani airspace". 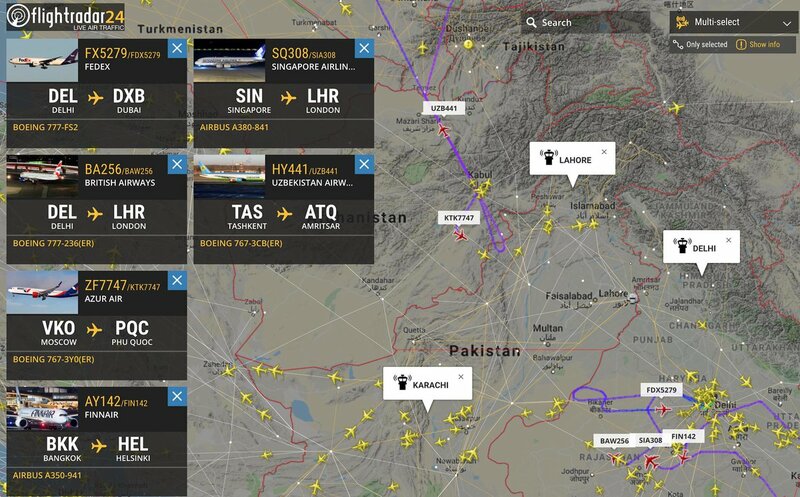 Numerous civilian flights not entering Pakistan airspace at this time. Diverting or returning to origin. 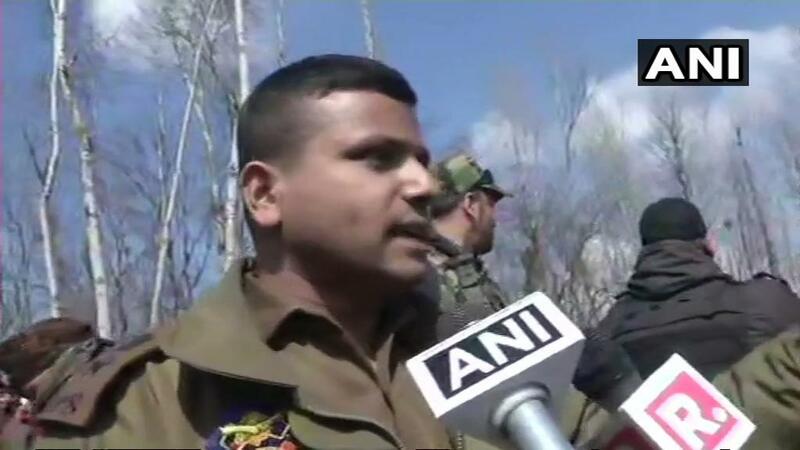 SSP Budgam on military aircraft crash in J&Ks Budgam: Some aircraft has fallen. As of we aren't in a position to ascertain anything. Technical team is here, they'll ascertain facts. We have found 2 bodies so far and have evacuated them. Search is going on here. 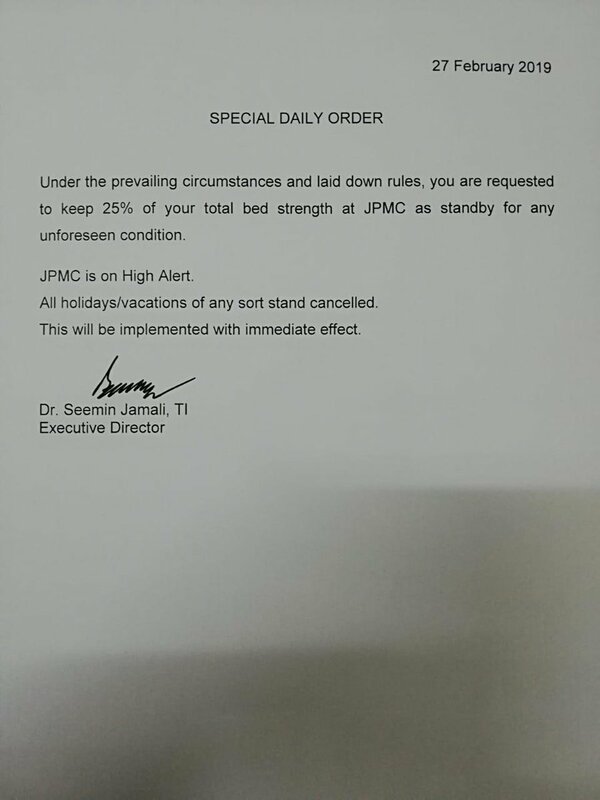 International flights that transit between Indian and Pakistani airspace being affected. Some flights returning to origin, while others appear to be seeking alternate routing. One Indian pilot has been arrested by armed forces, says Spokesperson of Pakistan Armed Forces. 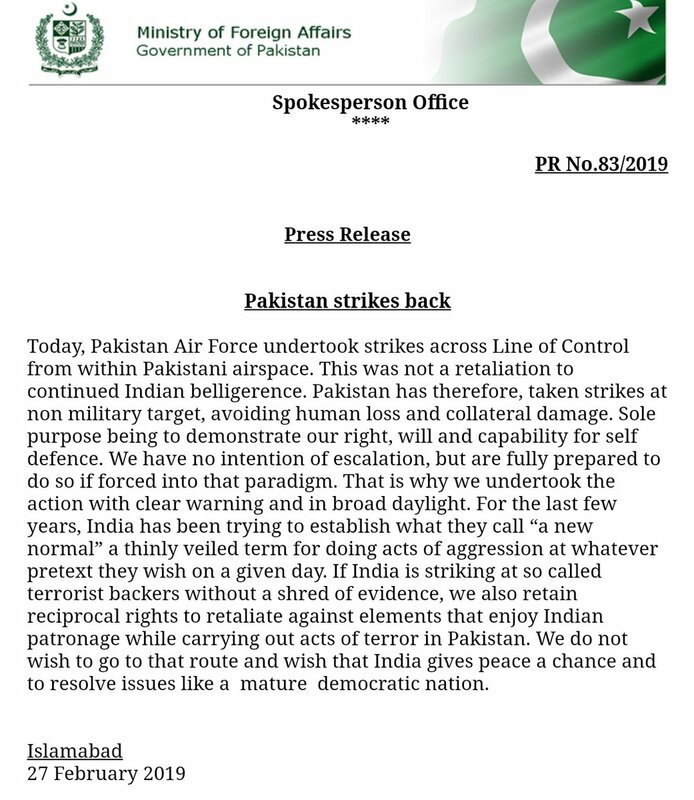 Pakistan foreign ministry - "We have no intention of escalation, but are fully prepared to do so if forced into that paradigm"
Pakistan army: In response to PAF strikes this morning as released by MoFA, IAF crossed LOC. PAF shot down two Indian aircrafts inside Pakistani airspace. One of the aircraft fell inside AJ&K while other fell inside IOK. 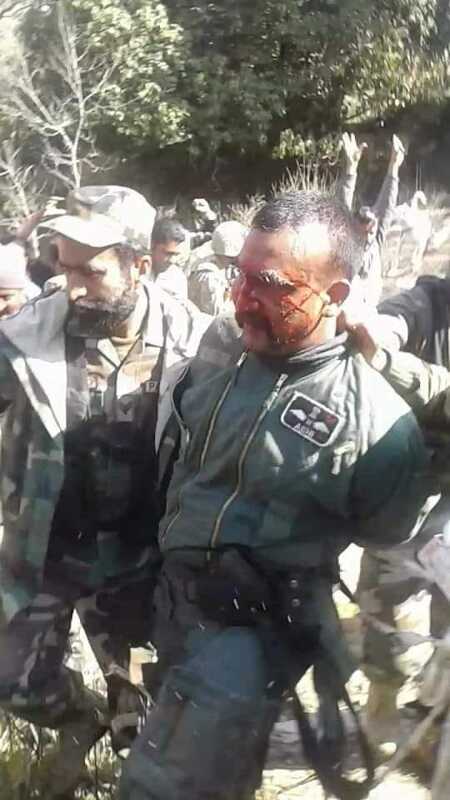 One Indian pilot arrested by troops on ground while two in the area. 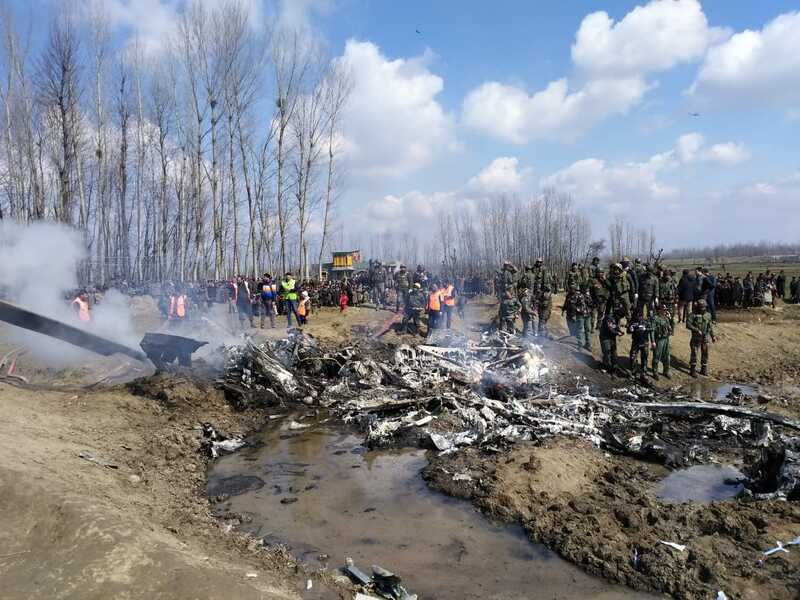 The aircraft that crashed in Jammu and Kashmir's Budgam was IAF's Mi-17 transport chopper. 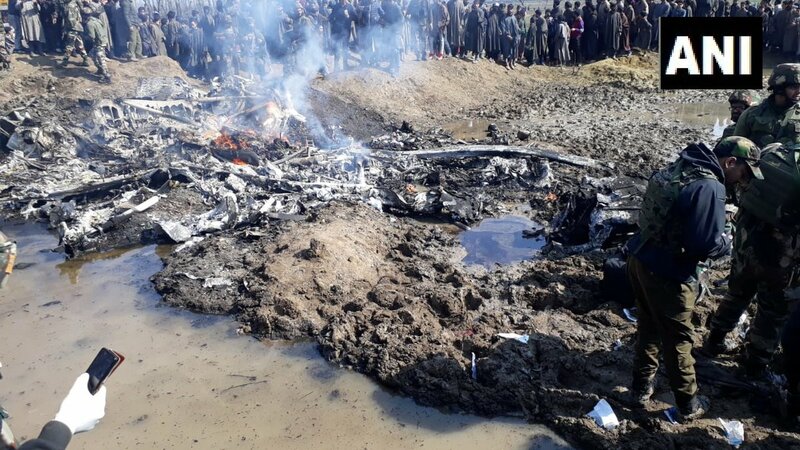 SpotVisuals: Police on military aircraft crash in Jammu and Kashmir's Budgam, say, "Two bodies have been found at the crash site." The airspace over Srinagar Leh has been closed temporarily because of security reasons. 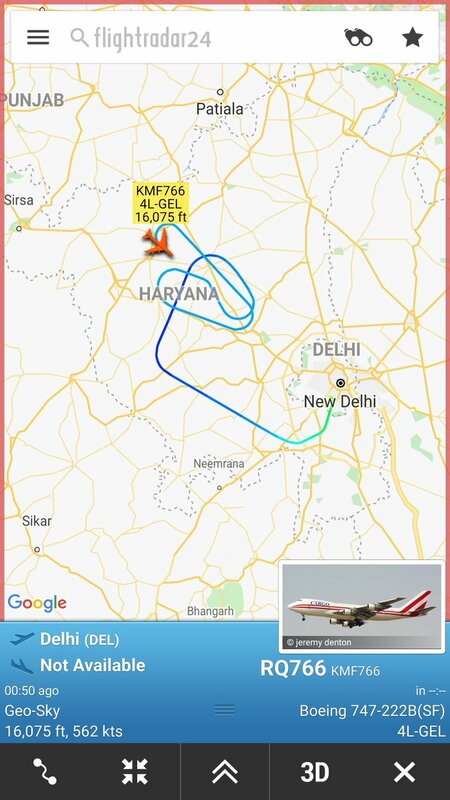 Most civilian flights diverted. Delhi, Mumbai and 5 other cities put on 'highest alert' for the next 72 hours, a period being termed 'crucial'. Nuclear installations, airbases, naval commands, Army camps in north and west India under heavy security cover. Early morning encounter begins between militants and security forces in Meemandhar village of Shopian in South Kashmir. 2-3 militants likely trapped as CASO led to a gunbattle. Indian Army, J&K Police and CRPF on the job. 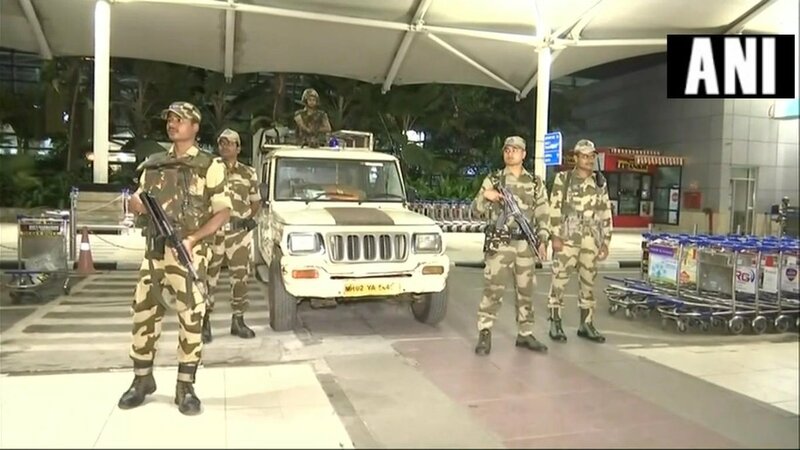 Mumbai: Security tightened in the city after Indian Air Force (IAF) strike in Pakistan's Balakot yesterday. The US Chairman of the Joint Chiefs of Staff Gen. Dunford's speaks by phone with Pakistan Chief of Defense Gen. Zubair Mahmood Hayat on the "current security environment" according to spokesman Col Patrick Ryder. 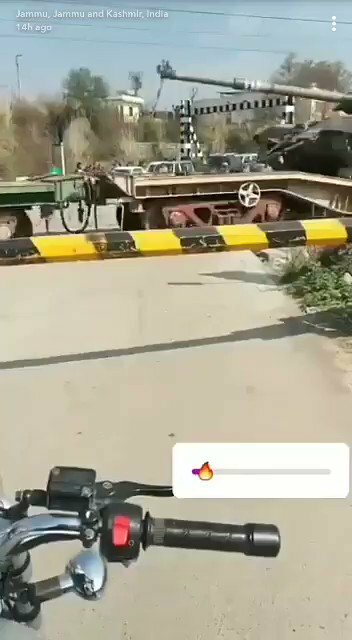 This video from Jammu Kashmir from 14 hours ago, downloaded from the Snapchat of someone based in that area, shows Indian Army tanks being moved railway. 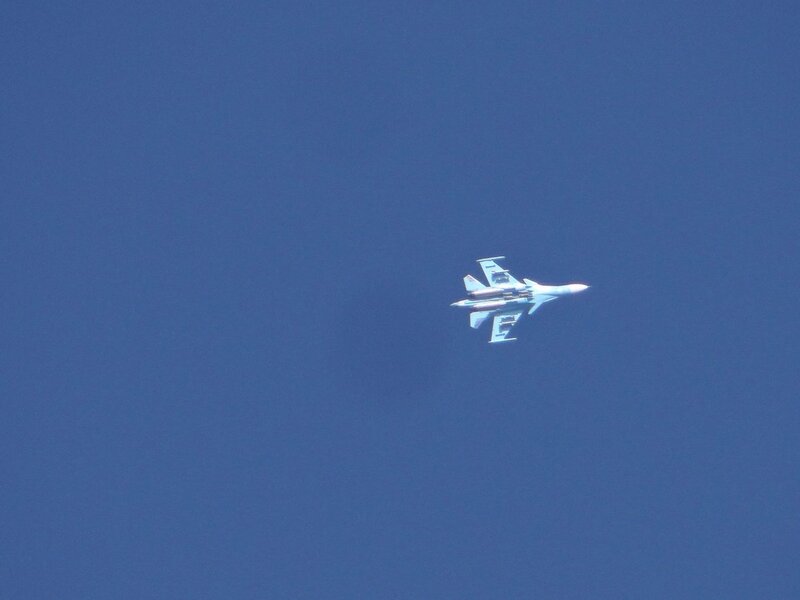 Pakistan Airforce jets are heard patrolling over many cities: Karachi, Lahore, Islamabad and even Narowal. In exchange of fire 5 Soldiers of Indian Army suffered minor injuries out of which 2 soldiers were evacuated to Military Hospital for medical treatment and are stable. Pakistani security sources say Indian forces have opened fire at working boundary in Sialkot. Death toll in indiscriminate Indian shelling from across the restive LoC rises to 4 while another 11 injured in AJK. A mother of 2 children among the deceased. Five Indian army men injured in an intense on-going cross-border gunfire along the Line of Control. 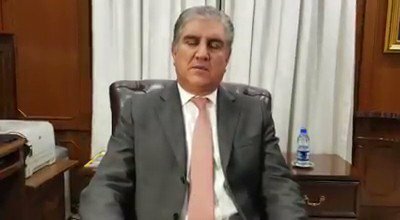 According to the Foreign Office (FO), Qureshi told Pompeo that Indian aggression was worthy of condemnation and hoped that the United States would play its role in the situation. Heavy shelling reported from Kotli across the LoC as India-Pakistan tensions escalate. 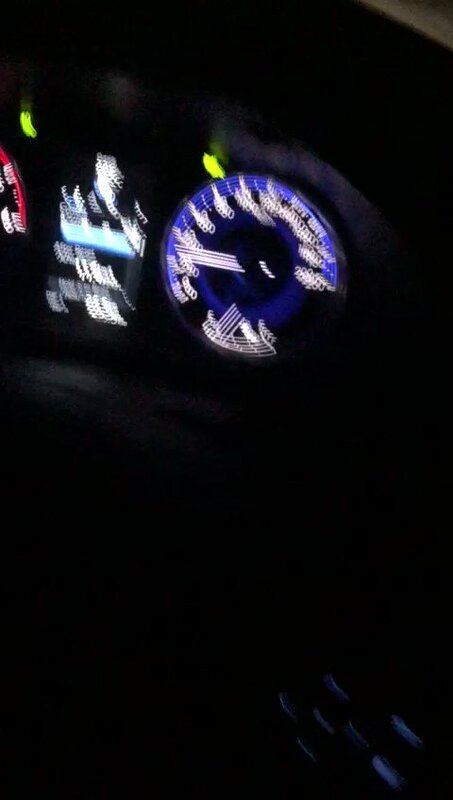 Video shared by a local resident a while ago. 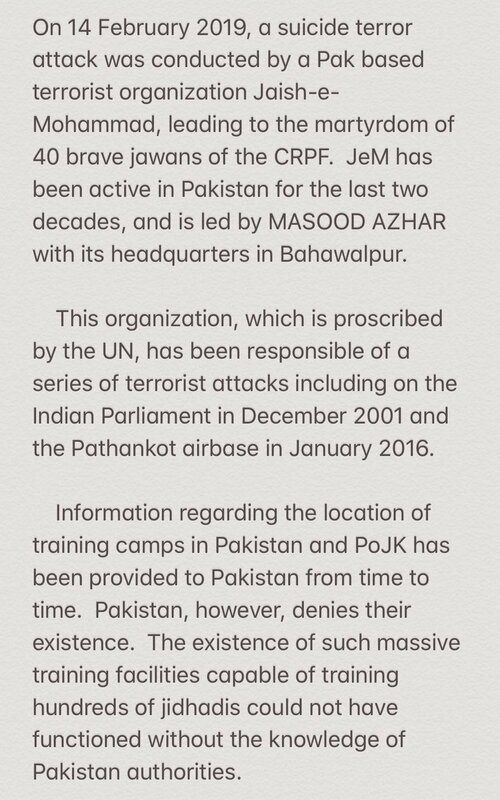 Jaish-e-Muhammad (JeM) has released a purported audio message of Maulana Talha, brother or JeM chief Azhar Masud, in which he refutes all Indian claims, says India dropped bombs in remote mountains, all JeM structures, commanders, fighters and leaders are safe. 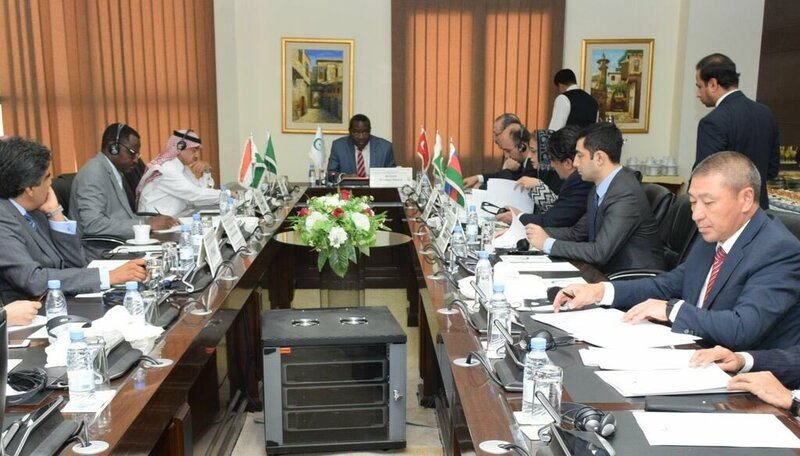 Organization of Islamic Cooperation(OIC) condemned the Indian incursion and aerial violation and dropping of four bombs today, 26 February 2019. It urged India and Pakistan to exercise restraint and avoid any steps that would endanger peace and security in the region. 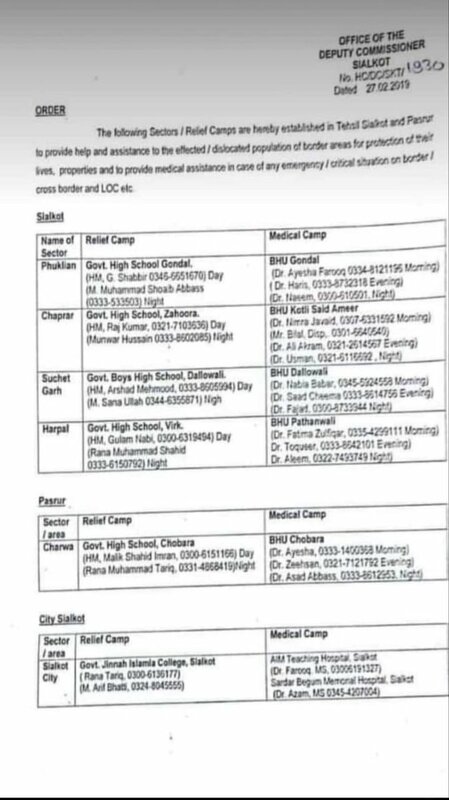 Pakistan has set up a Situation Command and Control Room in Kotli, Azad Kashmir following high tensions with India and possibility of an escalation. Three Pakistanis including a woman have been injured in Indian shelling in Khoiratta sector along LoC. Clashes between Indian and Pakistani armies continue at multiple locations along LoC. 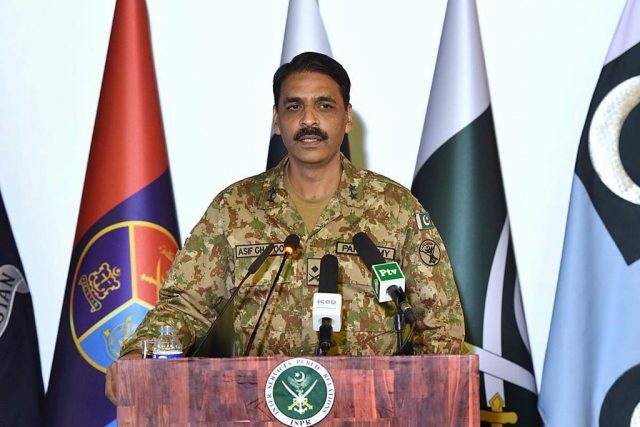 Pakistan military spokesperson Maj-Gen Asif Ghafoor says Pakistan will respond to Indian airstrikes "differently, and we will surprise you". Says Indian incursion remained within 4-5 nautical miles of LoC, deployed four bombs, that hit open ground in Jaba. 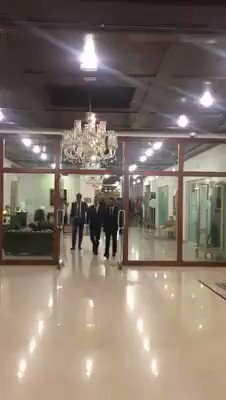 Pakistani military spox: "As you all know, Pakistani government has called a meeting of National Command Authority tomorrow. I hope you know what that means." 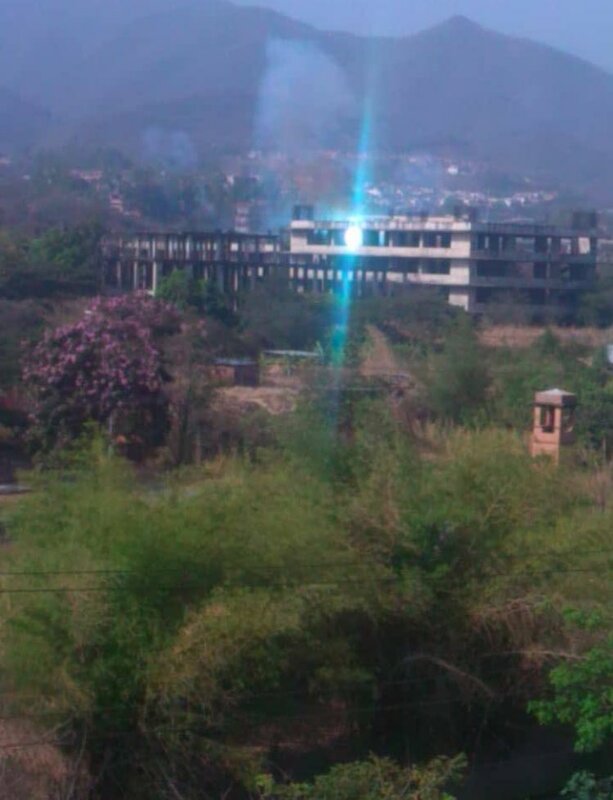 Pakistani shelling has hit Krishna Ghati sector across LoC. 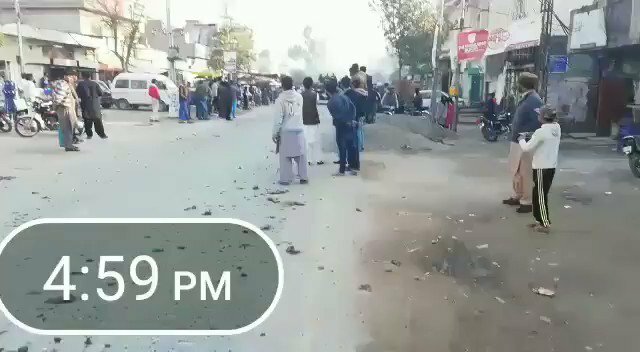 Clashes between Indian and Pakistani armies continue. Spokesperson of Pakistan Armed Forces to hold an important press conference in a while. Jammu and Kashmir: Clashes between Pakistan and Indian troops in Nowshera sector and Akhnoor sector. 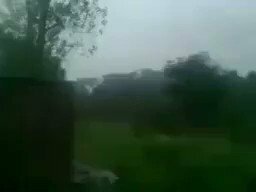 Reports of fresh clashes between Indian and Pakistani armies in Nowshera and Akhnoor sector along LoC. Police arrests drug peddler with 70 kg charas in Bandipora. Here's the full statement from Pakistani side. A special meeting of the National Security Committee chaired by the Prime Minister was held at @PakPMO today. 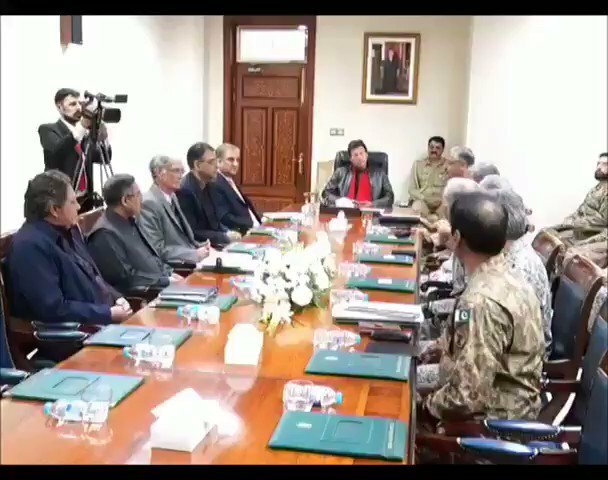 The meeting was attended by Ministers of Foreign Affairs, Defence, Finance, Chairman Joint Chiefs of Staff Committee, COAS, CNS, CAS and other civil and military officials. Pakistani statement says PM @ImranKhanPTI has directed armed forces and people of Pakistan to "remain prepared for all eventualities". Pakistan statement says government has decided to call joint session of Parliament, PM @ImranKhanPTI has called special meeting of National Command Authority (body that oversees nuclear arsenal) on Feb 27. 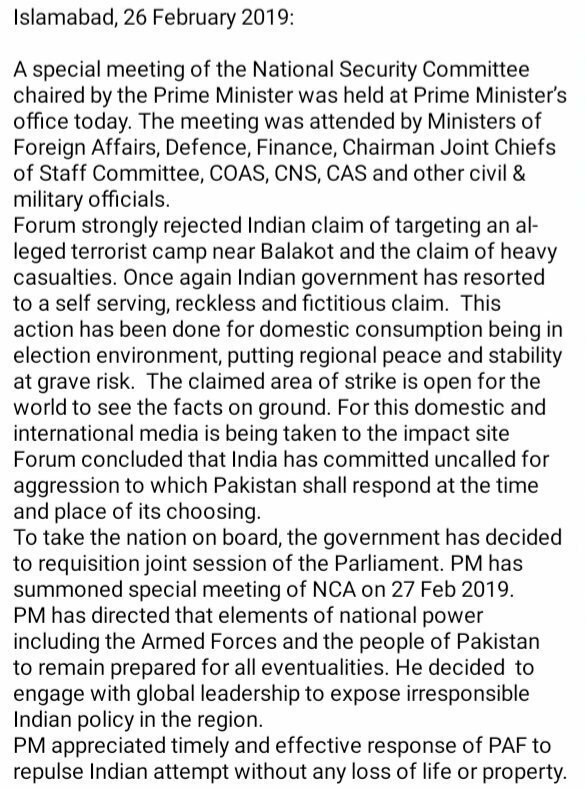 #Balakot: Statement issued after meet of National Security Committee chaired by PM @ImranKhanPTI says "India has committed uncalled for aggression to which Pakistan shall respond at the time and place of its choosing". 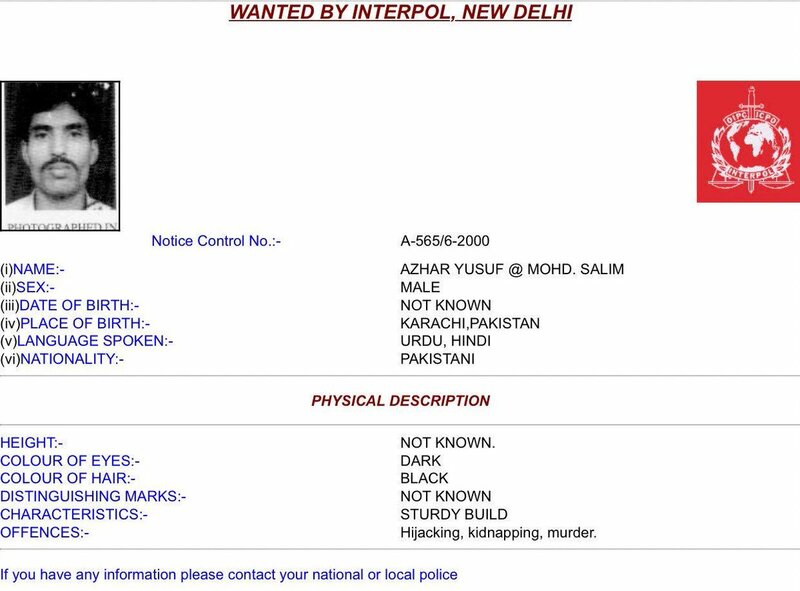 India says one of the targets of its claimed strikes in Pakistan was this JeM leader, Yusuf Azhar alias Mohammad Salim alias Ustaad Gohri. 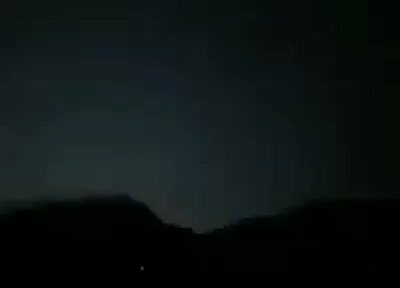 BBC Urdu video from Jaba Post, Balakot, KPK where a local says that there were 5 big blasts after 3am at night followed by Jets leaving within 10 minutes. 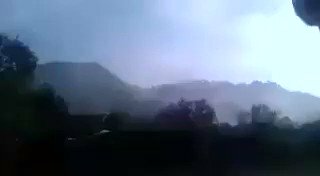 Local resident of Jabba tells BBC Urdu he saw a large crater caused by the attack, and that 4 or 5 houses were destroyed, and one local man was injured. Full text of the Indian Foreign Secretary's statement in India's air strikes in Balakot (Pakistan, not Pakistan controlled Kashmir). 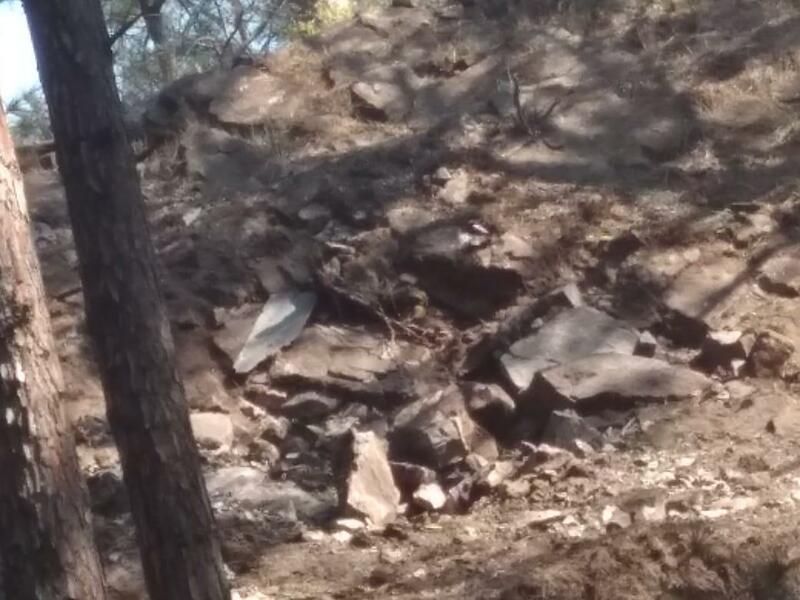 Indian media: Ceasefire violation by Pakistan forces at International Border in KanaChak Samba, BSF retaliated, as per sources one Pakistan ranger killed in retaliation firing. Pakistan Foreign Minister in response to India airstrikes on Pakistan: "It is violation of ceasefire, we will give a befitting reply"
Gokhale: India struck the "largest" Jaish-e-Mohammed Maulana Yusuf Azhar-run (he's Masood Azhar's brother-in-law) camp in Balakot. "Selection of the targets was conditioned by the desire to avoid civilian casualties." Gokhale: Pakistan refuses to take "concrete action" against "infrastructure of terrorism." Gokhale notes India had credible intelligence on a JeM fidayeen attack in the planning; a "preemptive strike became absolutely necessary." The India stock markets have fallen and are trading in the red. Both the key benchmarks - the Sensex and the Nifty had fallen by more than 1% when trade opened but have started to recover. 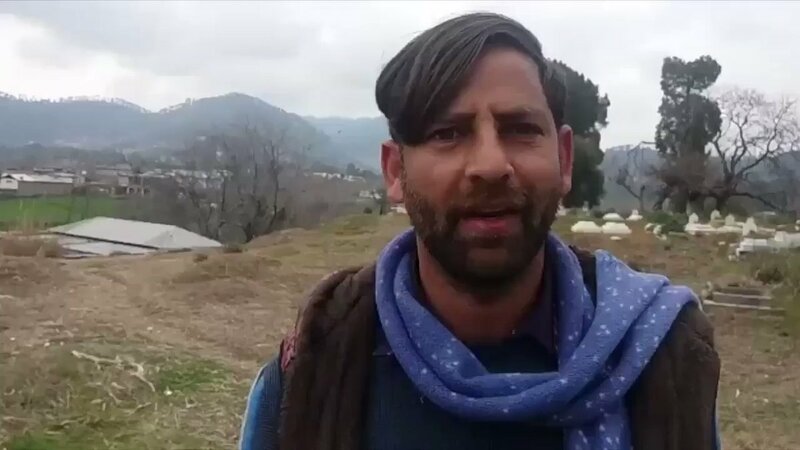 Spokesperson of Pakistan Armed Forces: Indian aircrafts' intrusion across LOC in Muzafarabad Sector within AJ&K was 3-4 miles.Under forced hasty withdrawal aircrafts released payload which had free fall in open area. No infrastructure got hit, no casualties. Technical details and other important information to follow. Pakistan claims that Indian military aircraft crossed the Line of Control separating both countries in the contested Jammu and Kashmir region and violated its airspace, possibly in an attempt to strike targets on the Pakistani side, news agencies reported. 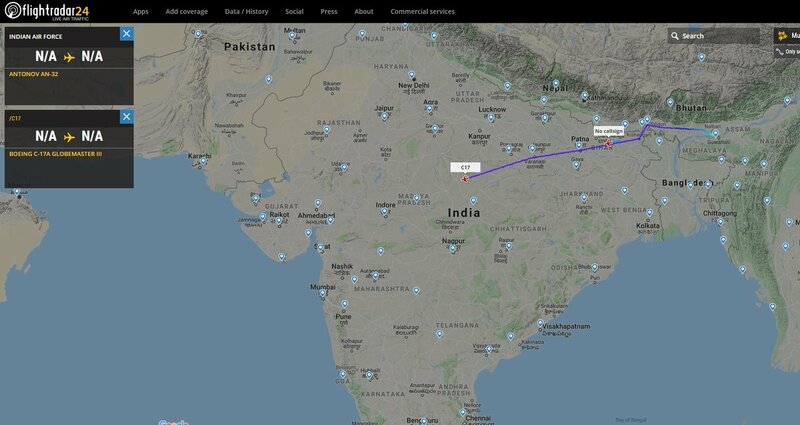 Indian aircrafts (12 mirage2000 2000 Jets ) entered Pakistan this morning around 3am. 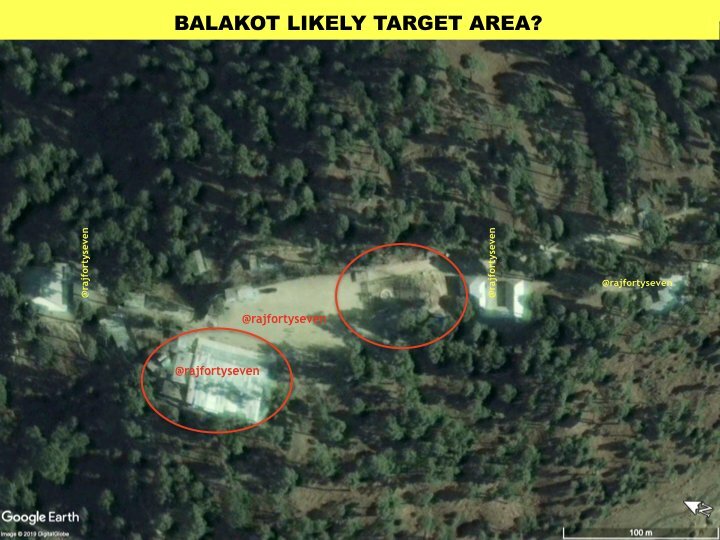 @ANI quotes IAF sources claiming 1000 Kg explosives were dropped on Jaish camp near Balakot. Pakistan military spokesman: Payload of hastily escaping Indian aircrafts fell in open. 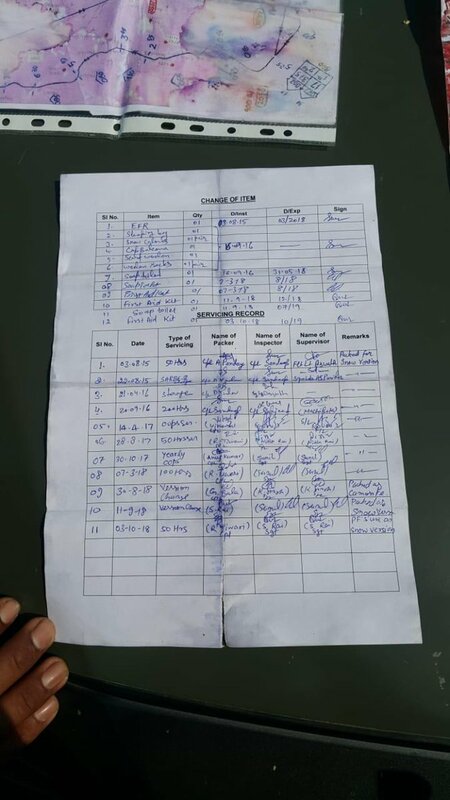 10 Mirage 2000 fighters crossed LoC and destroyed JeM militants camps and launch pads in and around Balakot reports @IndiaToday @manjeetnegilive Ops at 0330 hours. on @IndiaToday and @aajtak. AWACS. and mid air refuelers were up in the air. Pakistan miltiary spokesperson: Indian aircrafts intruded from Muzafarabad sector. 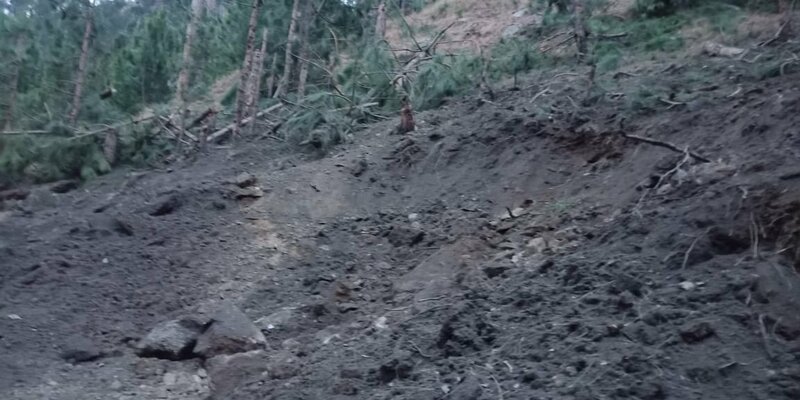 Facing timely and effective response from Pakistan Air Force released payload in haste while escaping which fell near Balakot. 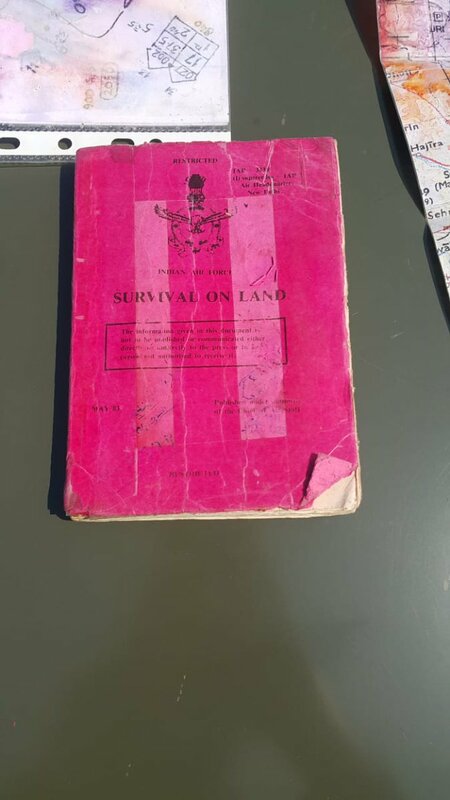 No casualties or damage.